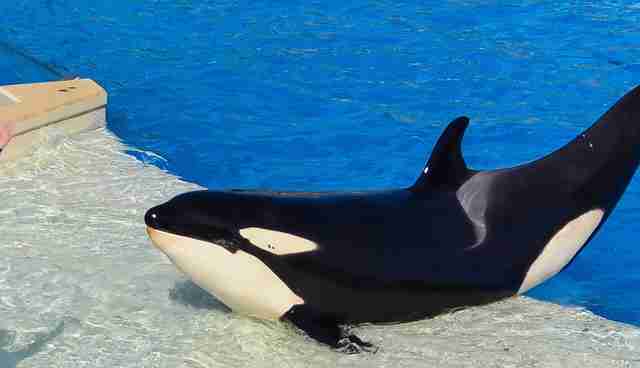 Because no one wants to see an orca in a tank. 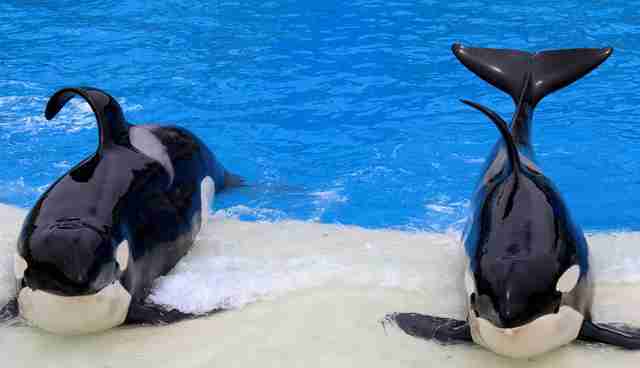 The public has long made clear that it doesn't want to see orcas in tanks - but now SeaWorld is really feeling it. 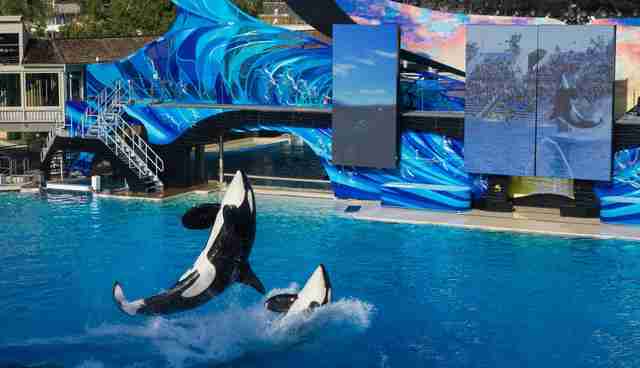 On Tuesday, SeaWorld released its latest earnings report. To no one's surprise, the company is continuing to struggle. The company reported declines in both revenue and attendance. Revenue for the first nine months of 2016 dropped to $1.08 billion, a decrease of $26.5 million from the same period in 2015. Third-quarter net income dropped 33 percent, from $98 million in 2015 to $65.7 million this year. The company has lost money so far in 2016, generating a net loss for the first nine months of $0.6 million. During the same period last year, the company made $60.2 million. As a result, the company announced on Tuesday that it will be instituting significant cost-cutting measures to reduce spending across the company. Attendance also declined - despite a small uptick in the third quarter, SeaWorld's Orlando park has received 432,000 fewer guests so far this year than it did over the same period in 2015. SeaWorld has been struggling ever since the 2013 release of the film "Blackfish," which brought public awareness to the company's alleged animal mistreatment. Since then, a number of concerning practices have come to light, including numerous claims that SeaWorld orcas are attacking and even ripping skin off each other. SeaWorld has missed the mark on a number of quarterly reports over the past few years, reporting a series of declines in both revenue and attendance. Its stock has plummeted - in September, it was hovering just above $12, an all-time low since the company went public in 2013. But, while SeaWorld has had several opportunities to address concerns over animal welfare, the company has largely ignored them. Though it made some efforts earlier this year to win back customers' trust - including announcing a ban on orca breeding and, less significantly, repackaging its orca shows - CEO Joel Manby has repeatedly refused to entertain the idea of relocating SeaWorld's orcas to more natural sea sanctuaries. SeaWorld also appears to be particularly resistant to addressing what it euphemistically calls its "brand challenges" with stockholders. For what appears to be the third year in a row, SeaWorld blamed this quarter's poor attendance on bad weather, rather than potential public distaste for the brand. But while the company has taken some steps forward this year, it's unclear whether the public will be willing to trust it again while SeaWorld's orcas are still languishing in tanks.